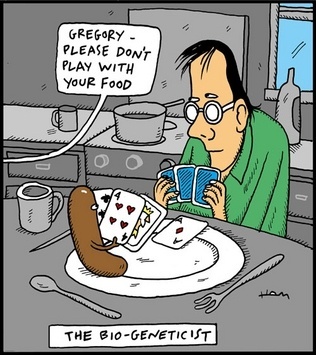 Imagine programming your food to play! These are the basic steps of gametogenesis without any “complications.” A diploid germ cell replicates through mitosis and then divides into haploid gametes through two rounds of meiosis. 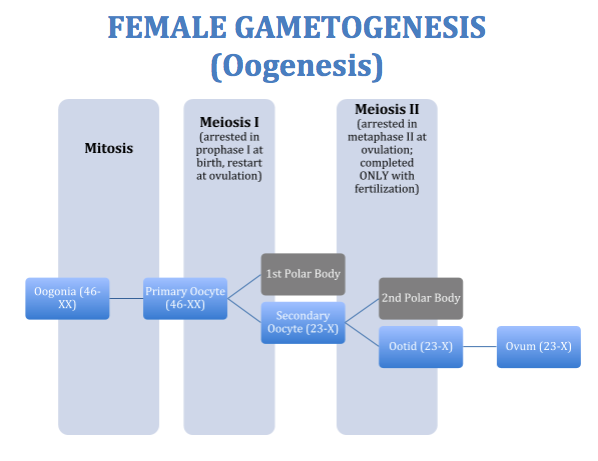 Now let’s move onto female gametogenesis, which involves the SAME basic steps (a diploid germ cell replicates through mitosis and then divides into haploid gametes through two rounds of meiosis). 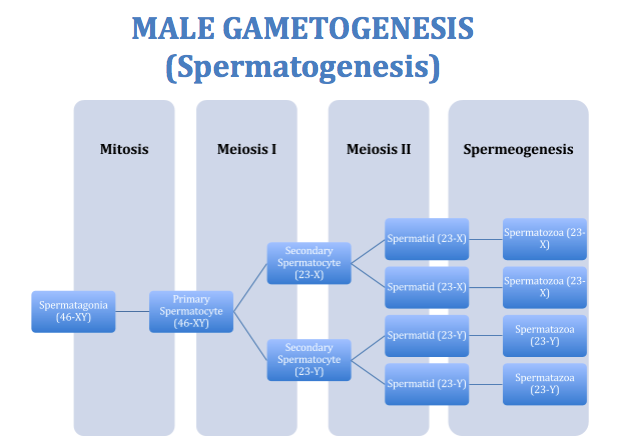 However, these steps occur on a different timeline, and result in only one gamete per germ cell. 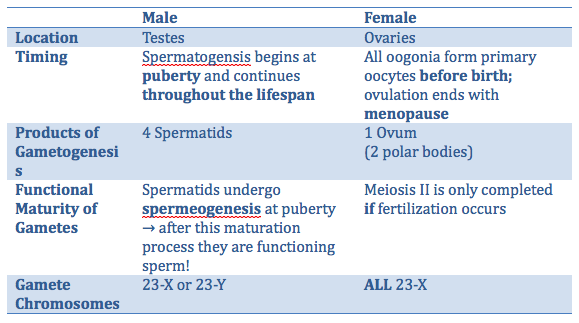 The table below highlights the differences in gametogenesis between the sexes. And there you have it! For more relevant reading, check out these other blog posts, written by our private MCAT tutors in NYC, Boston, and online: When Should I Take the MCAT?,Getting an MCAT Study Buddy, and 4 Last Minute Tips to Raise Your Verbal Score.